Chuck Riedesel, owner of Milestone Investment Management LLC, specializes in helping clients prepare for retirement, invest for success, and pursue their financial goals. Chuck has worked in the financial services industry for more than 20 years. A graduate of the University of Wisconsin-La Crosse with a degree in accountancy, Chuck also completed studies at the Graduate School of Banking at the University of Wisconsin-Madison. In his spare time, Chuck is an active volunteer in the community and likes to spend time with his family. He lives in Lodi with his wife, Susan, and their children. 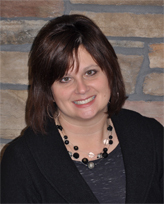 Dori Bilse, client relations specialist, has worked for Milestone Investment Management LLC since 2011. Previously, she worked for Credit Suisse First Boston in Chicago, Illinois, and more recently served as director of the Lodi Area Chamber of Commerce. Dori is a Lodi High School graduate and a 1992 graduate of Madison Area Technical College. She lives in Lodi with her husband, Scott, and two children.